but when you move to an older home, you never know what you're going to get with laundry space. 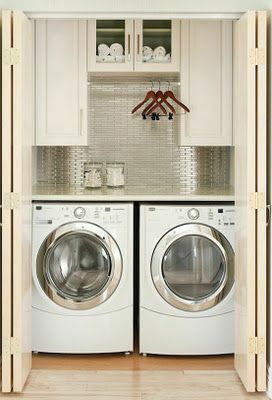 we will be working with laundry closets. i love the use of storage, and that a cramped space still looks so neat. 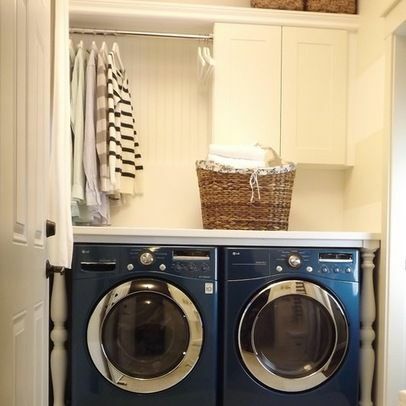 the contrast of the washer/dryer color with the white walls make me happy! this white and chrome combination has to be my favorite. 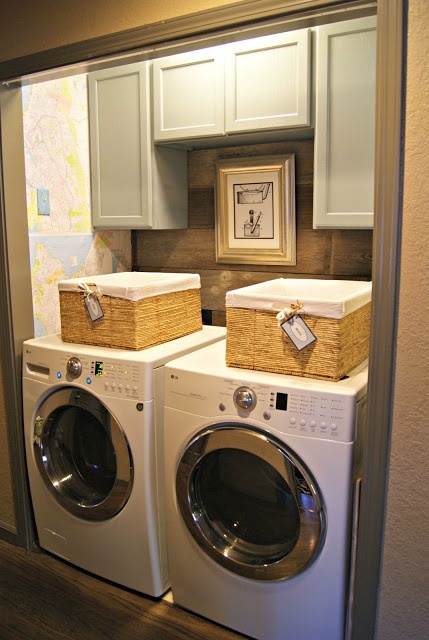 i love the idea of having a backsplash in the laundry area.